LGF recently installed one of our clean water solutions at Meds for Kids brand new state-of-the-art food production facility in Cap Haitien. 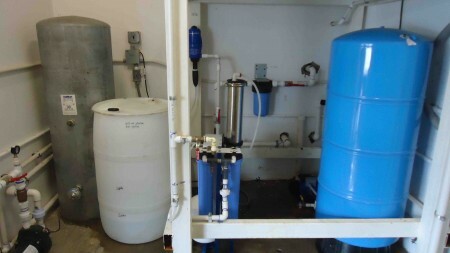 Our purification system is providing clean water for the entire facility ensuring that the end product, the amazing Medika Mamba, is top quality and safe for malnourished kids to imbibe. Medika Mamba is a ready-to-use therapeutic food made of ground roasted peanuts, powdered milk, cooking oil, sugar, vitamins and minerals. A typical treatment program for one child lasts 6-8 weeks and takes 25 pounds of Medika Mamba. Within six weeks of starting treatment, 85% (!!!) of children on Medika Mamba recover, far better than the 25% survival rate with older milk-based treatments. LGF is proud to partner with such an amazing organization. 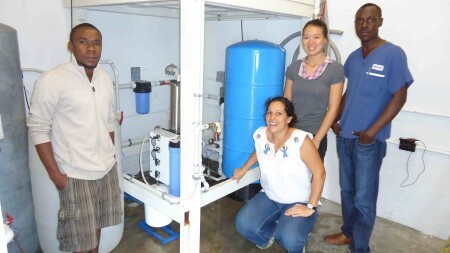 The photos below shows the system, the facility and a couple of MFK’s amazing staff. This entry was posted in LifeGivingForce Foundation, Partners, Stories and tagged clean drinking water, Clean water as Human Right, Haiti, LifeGivingForce, Medika Mamba, Meds for Kids. Bookmark the permalink. Post a comment or leave a trackback: Trackback URL.